Apple does it, so why can’t Honda leak out bits of information about it’s up and coming concept cars to show at the Tokyo Motor Show later this month. Honda is planning to bring a large number of concept and production vehicles (more than any other automaker) to the Tokyo Motor Show. 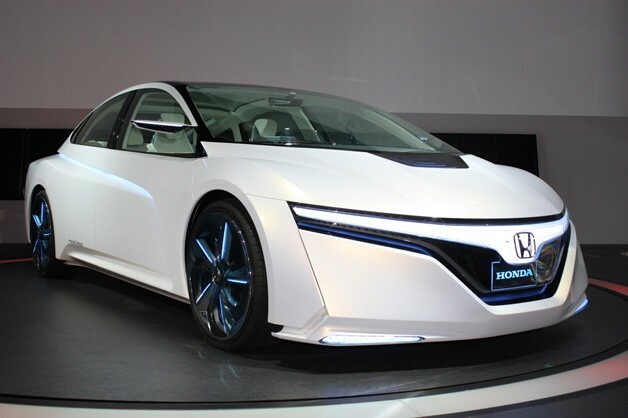 One of the concept cars Honda will be presenting is the plug in hybrid as well as an EV called the ACX. The company says the ACX will come with a two-mode drive system with an engine mode for extra power and performance, and an automatic drive mode for standard driving. Not in the used car auctions yet, one day! Previous Post2012 Nissan GTR to have back seats removed! Next PostiCar, who is going to launch it, when will it be developed?